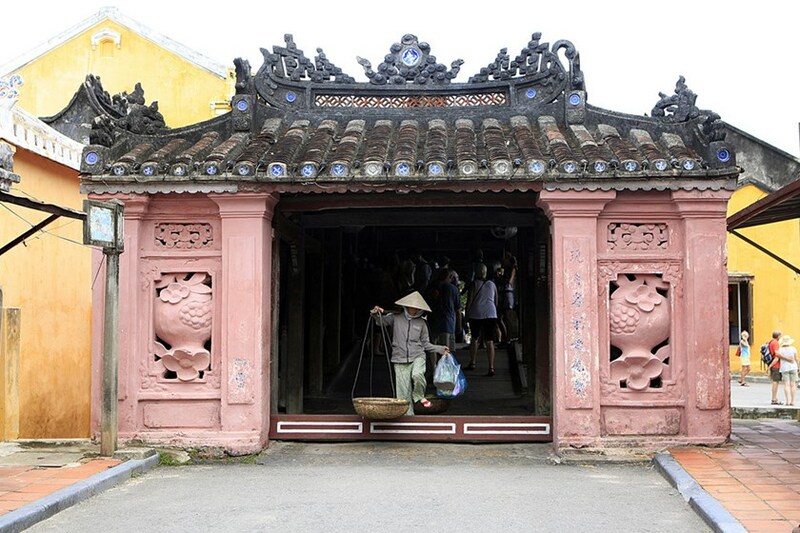 The ancient tile roofs of these wooden bridges have added great aesthetic and historical value to Hue, Hoi An and rural corners of northern Vietnam. 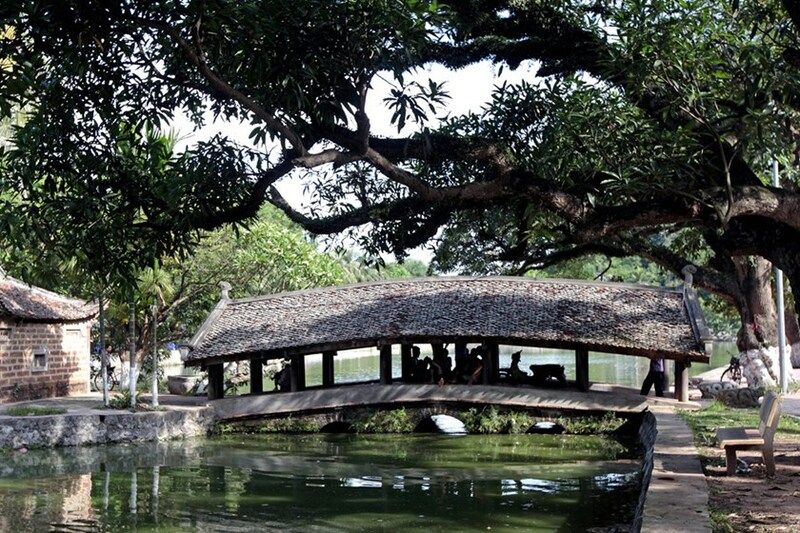 The bridge features wooden dog and monkey statues at its two entrances. 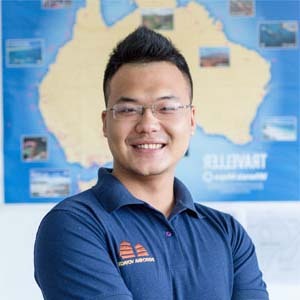 Researchers suggest that construction started in the year of monkey and finished in the year of dog (according to the Chinese Zodiac system). 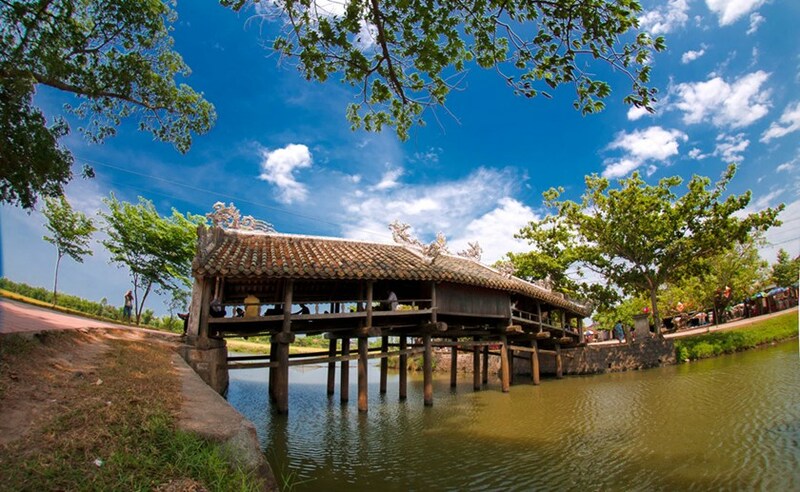 Its Vietnamese name (Temple Bridge) came after a small shrine was added at one end in 1653 to worship Bac De Tran Vo, an Eastern water god. 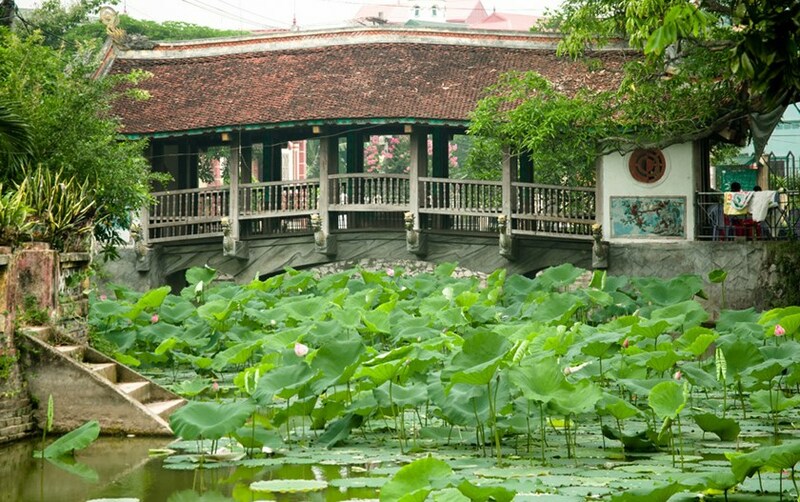 A bridge that runs across a lotus pond in Binh Vong Village of Thuong Tin District, Hanoi. Visitors can rest on the platform on both sides of the bridge. The bridge is supported by 18 stone pillars. 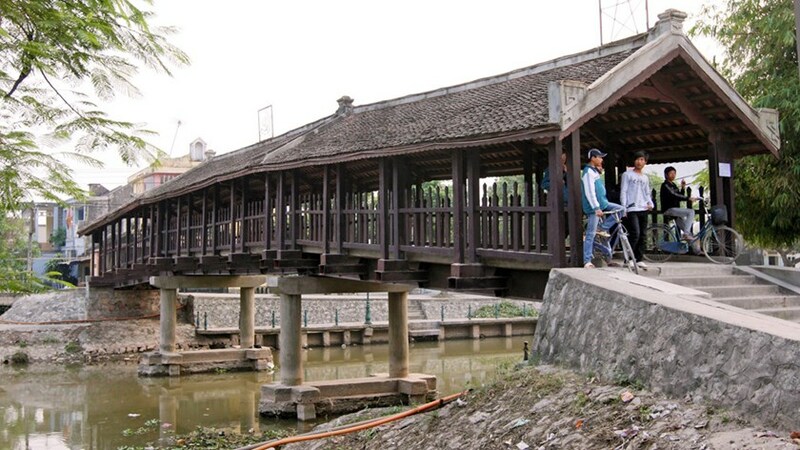 The other bridge at Nguyet Tien. 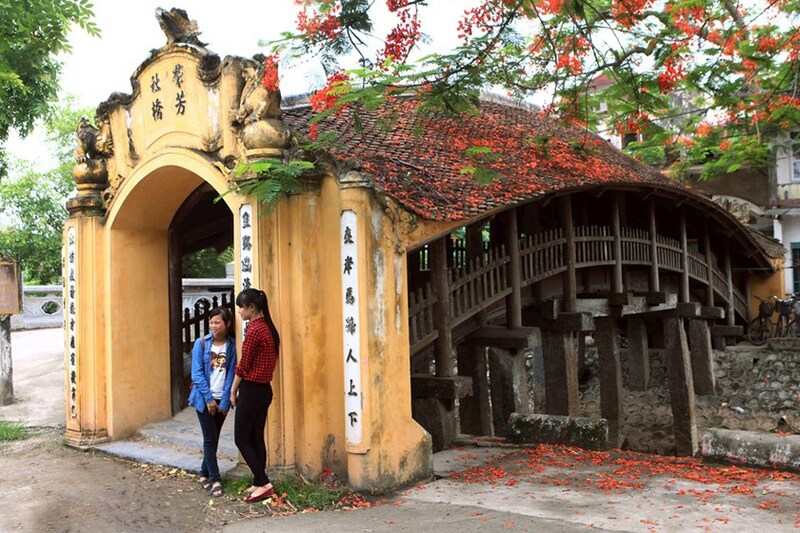 Thanh Toan bridge, which is 17 meters long and four meters wide, is located in Thuy Thanh commune, Huong Thuy Town, some eight kilometers from Hue.